I recently spent a week with my husband doing little but looking at this view of the Palo Duro Canyon from our rented patio, stargazing from the outdoor hot tub, and relaxing. We unplugged completely. No news. No work. No social media. No other people. It was heaven, and I didn’t have a severe migraine attack the entire time we were there. The low-level pain, nausea, and vertigo of the ongoing disease are almost always present, but that’s where they stayed. At low levels, in the background. No major attacks. No big flares. It was the most peace I’ve had in months. By 1 p.m., my pain level and other symptoms had increased with a vengeance. While I expected this, it still got me thinking. What can I do to reclaim a little of that Palo-Duro peace for myself during the regular week? How can I take care of myself, and my health, like I did over the course of those blessed and restful days? I recently read a post from another writer talking about reclaiming Wellness Wednesday as a day for health. She said she was going to spend each Wednesday, taking the entire day off and nurturing her body and her mind. This idea intrigues me. I’m not sure I’m capable of making that kind of commitment right now, as I have so many other commitments already. But I’d like to try. At the very least, it will remind me that I need to prioritize myself and my health just as much as I prioritize everything else. We women, especially those of us who are moms with chronic illness, tend to need that reminder. What about you? Do you do anything on a regular basis to prioritize your well-being and your health? What is it? The online world is full of articles, infographics, and stories from those of us with migraine about things we wish those without migraine knew and understood about the disease. 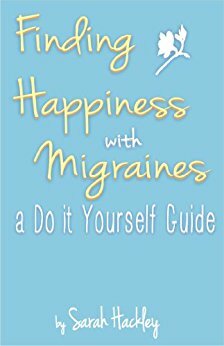 There is much less such information written to others with migraine, but I think there should be. The disease presents so differently for each of us, and we’re all at such different stages of living life with migraine. That’s why I recently wrote a piece for Migraine.com about what I wish others with migraine knew about my disease. Read more here: https://migraine.com/living-migraine/the-differences-among-us-what-i-wish-others-with-migraine-knew/. What about you? What do you wish others with migraine knew about how the disease presents for you? I’d love to hear what you have to say. This is a wonderful post from a friend of mine who also writes for Migraine.com. Like my friend, I have walked an arduous path with my migraine disease. Like she has, I have tried nearly everything ever recommended to me. Like my friend, my disease still cycles through periods of near hell. Those of us who have been walking with migraine for a long time do what we can to survive – and thrive – through those toughest times. Thank you for sharing your story, Lady Migraine! I applaud your bravery. As part of last June’s Migraine and Headache Awareness campaign, I wrote a guest post for The Unbroken Smile on living well with one of the world’s top 10 disabling conditions. If you missed it, you can read it on their blog. While you’re there, make sure to look around! They’ve got some pretty great tips on living with chronic pain. It’s my birthday soon, and so I’ve been thinking of presents. Of course, the things I’d really like – pain-free days, the ability to schedule events weeks in advance without fearing I’ll need to cancel, and a brain that allows me to eat cheese – no one can give me. Still, I knew there had to be something I’d want. After days of being too sick to eat, yet in too much pain to make the smoothies I can tolerate when nauseous, I realized a replacement blender might be in order. You know, one of those that doesn’t sound like a jackhammer or a jet plane or any other number of earsplitting objects that make me want to slam my head against the wall. And, it turns out they make these, some for not even all that much. They also, it turns out, make vacuums that you don’t have to push. (For a price, of course, but less than you might think.) These little robots can move around your house, diligently cleaning up the ridiculous piles of German Shepherd hair that seem to get everywhere even when the dog has been bathed, brushed, and put outside. For someone like me, who is incredibly allergic to said hair and yet can’t always get out of bed or off the couch to vacuum it up and still have the energy left to make the dinner my kids will spill all over the floor, that’s big news. So that’s what I want. A robot vacuum cleaner and a blender that doesn’t make me want to split my head open with an axe. I feel so adult. And boring. Basically, anything that makes life easier, cleaner, and/or more tolerable is a good thing. Any other ideas? Please share in the comments. I’d love to hear them!